An EBF Maiden Stakes over 1m 75y on good going. Twelve two-year-olds take part. Eight horses have race experience. I'm going to try not to ramble on as I still feel rather lacking in motivation with these giant maidens. Azam was fancied on debut and finished a creditable fourth. This bay colt, a son of Dansili, This 260,000G yearling purchase has sound each-way claims. Roger Varian's juveniles have finally sprung into life after struggling with the virus for the early part of the season. Dhajeej cost 130,000G. 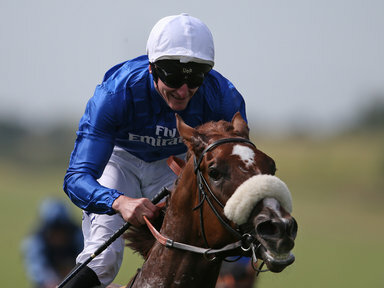 He finished a promising second when racing at Yarmouth behind Wolf Country from Charlie Appleby's stable. Melting Dew was priced 9/2 for Sir Michael Stoute on debut at Kempton. He needed the race and will appreciate this extra furlong. Fair claims if priced 13/2 & less SP. Best watched if weak in the betting. Alaik is one of the better debutantes from Saeed bin Suroor. Conclusion: No strong view about this contest. Azam & Dhajeej have valuable race experience and will be primed to go well. The betting will tell the story regarding Melting Dew. If priced 13/2 & less it would give stronger claims.